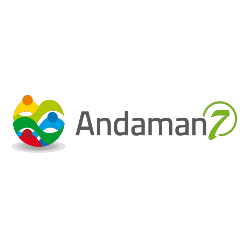 Andaman7 combines and improves: for doctors, an electronic health record and for patients, a personal health record. In addition to that, we built a strong platform to connect them seamlessly and make sure medical data is exchanged securely for a better collaboration and diagnosis. Healthcare Professionals and patients are able to collaborate in an efficient way and exchange data safely. The patient is actively participating in their own care and treatment. Patients have access to their record anywhere, in any situation and can manage their whole family’s records. Each user (patient, doctor, provider) chooses which content to share and with whom. Data is synchronized automatically, for an always up-to-date health record. No medical data is kept on servers, everything stays on the users’ devices (anti-cloud, peer to peer platform). The core app is and will remain free for all. The business model is based on future Premium add-ons.